Enter the world of the stylish Japanese house, where every object in sight is a work of art. Japan Style introduces 20 special residences. 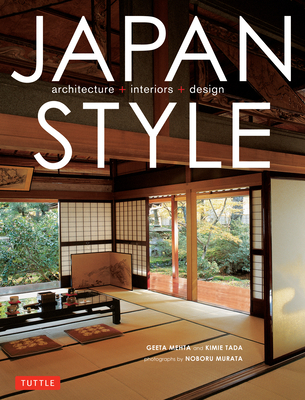 With more than 200 color photographs, this book showcases Japanese design in the stunning beauty of old homes and reveals how they are cared for by their owners. Traditional Japanese homes, with superbly crafted fine wood, great workmanship and seasonal interior arrangements, have an aesthetic of infinite simplicity. Unlike Japanese inns and historical buildings, the Japanese architecture featured in this book is on private property not open to public viewing. Japan Style offers a rare glimpse into the intimate world of everyday Japanese culture and fascinating insight into the traditional architecture of Japan.